The first full trailer for the upcoming Godzilla trailer instantly cemented the reboot as one of the flicks to beat this summer, promising a giant-monsters experience just as badass as Pacific Rim, but more grounded and serious. Well, as grounded and serious as you can get in a movie about a giant radioactive lizard. Now the international trailer has hit, bringing with it new footage of the chaos and carnage that results when somebody forgets to lock the damn kaiju pen. Safety first, people! We’ve pulled a screencap gallery below that’s focused specifically on the new footage. There’s a lot that’s carried over from the domestic trailer, but this one provides more looks at the floods, destroyed buildings, and downed aircraft that a gigantic monster will tend to leave in its wake. 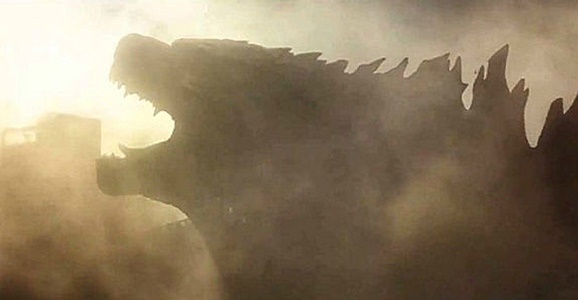 We’re also particularly excited about that gorgeous Godzilla silhouette below, which definitely backs up reports of the footage screened at SXSW that said the new design “looks like brawler, ready to throw down.” This is definitely a Godzilla that’s ready to tussle. Godzilla fans got a bit of face(book) time with director Gareth Edwards this past Tuesday when he participated in a Q&A session on the film’s official Facebook page. The folks at Scified sifted through the 1700+ comments and pulled out the highlights, which include insights into Edwards’ favorite moments from the franchise, whether the new film will include upgraded versions of any other classic Toho monsters, and who would win in a Godzilla/Pacific Rim crossover. One of the biggest questions at this point is what other monsters Godzilla might be squaring off against on the big screen. The trailers and Edwards’ earlier comments have confirmed that the Big Guy won’t be the only critter wreaking havoc in the reboot, but what remained a mystery is whether any of the secret monsters were updated versions of the Toho creatures. If you were hoping to see 21st century incarnations of Mothra or Rodan, don’t hold your breath — at least not for this film. 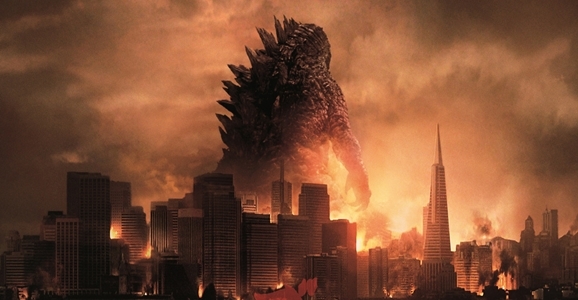 When asked about other Toho monster appearances in Godzilla, Edwards said, “The creatures are original to this film but very much inspired by Toho (there are some Easter eggs for fans).” You can click here to read a description of one of the creatures that was revealed in footage screened at SXSW recently. With about three months until the movie opens this May, the Godzilla remake is one of the most buzzed-about movies this summer. While we have yet to see much footage of the new King of Monsters in action, Warner Bros. and Legendary Pictures have been doing a great job teasing Godzilla. The original 1954 Godzilla film screened for festival attendees, but they also got a surprise — 10 minutes of footage from the remake were screened for Austin, Texas crowd, finally revealing something the marketing has been hinting at for months now. Roland Emmerich’s Godzilla flick was a mess, to the degree that it’s still a punchline all these years later. Director Gareth Edwards is taking a more realistic approach to the monster in his upcoming reboot, while at the same time trying to honor the spirit of the 1954 original. Regardless of how good the movie proves to be, the gorgeous poster above proves that Godzilla is still the King of Monsters. 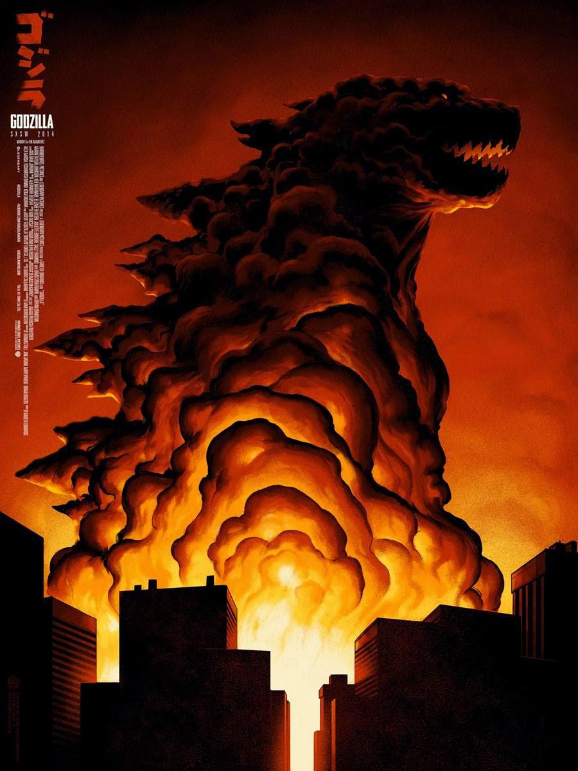 During this year’s SXSW festival, Mondo released a new limited edition poster featuring Godzilla formed from a cloud of smoke and destruction. While I only own one Mondo print (a Paranorman print I received as a gift), this actually makes me wish I collected more of them. Phantom City Creative also created a separate print for last year’s San Diego Comic-Con. The designers based the print on the original Godzilla rather than the new one, but it looks more modern nevertheless. Most of us only know one side of Godzilla. We see him, skyscraper tall, breathing fire, stomping through the major metropolitan cities of the world, and we think that’s all there it too him. But as it turns out, at least if this new Snickers commercial is to be believed, he’s more complex than that. He’s also got a playful side, and all in all, he may not be such a bad dude. Godzilla is really just one of the guys, and he likes to do all the usual things that guys apparently do. He rides quads, recklessly and without a helmet mind you, picks up chicks at the beach, and pulls pranks on his bros when they nod off in the sun. I’d be willing to bet that Godzilla also ties his friend’s shoelaces together when they pass out at parties. In general, Godzilla just like to kick it, like anyone else. As one partygoer notes in this video, “Godzilla’s actually pretty cool.” For the most part, that is pretty true. Ever since the release of the new trailer for the Godzilla remake, fans are going crazy over what’s to come. Aside from plenty of action, the trailer also features some clues to other giant monsters that might be featured in the film, alongside the big guy from the title Godzilla. In the video above, Empire Magazine corners director Gareth Edwards and gets him to dish on all the elements that went into making the trailer, as well as providing a few insights into the upcoming blockbuster.